There weren't any changes made to that file, so this is a harmless warning. You can get rid of it by adding this file to MSE/data/magic.mse-game. Should've been fixed on the download links a few hours back as well. Seems legend crown with more then two colors should be displayed as gold but not as hybid like Jodah, Archmage Eternal. It seems to work fine with my installation, so it's probably something a little weird on your end. Look in Set Info to make sure that Use gradient multicolor is set to "Only for two color cards"
Do you have all of Cajuns game files. If you're not up to date with Cajun's game and set updates, then that might cause you to encounter issues with running his templates. Since I've installed the new M15 mainframe pack, I've noticed the option to sort color order in mana costs the way it's sorted in the Khans of Tarkir block no longer works. Is there anything else I can do to change the order of the mana symbols in the mana cost? EDIT: Nevermind, it seems it's in a different drop-down now. I added a third option to the mana sorting so the option had to be set up a little differently. The old one was left to not cause problems with frames still trying to use it. Oh I missed that, thanks. Cajun, I'm blown away by the latest Mainframe update. Everything looks wonderful, and being able to place PNGs for set symbols makes life so much easier. Great work! Is there a way to do Token Planeswalkers that look like both tokens but with a planeswalker textbox? Also possibly one with the 'copy token' title bar that can show a mana cost? It'd be nice to be able to do some thing like this. Do meld cards have a legendary frame in this new update that I've overlooked? Also, is it possible to customize the orders color appear in the frames? Not in the casting cost, but the legendary crown and the small strips around the art and text box. For instance, it automatically colors black, green, white in that order. Is it possible to reverse that or put white in the middle or black in the middle? Same thing with hybrid coloring. I hope that makes sense what I'm saying! Thanks again! I'm having so much fun with the new update! Ralphio Mainframe DFC has an option in Set Info to make the back face look like a Meld card. As for colour ordering, you can do a few things with it by clicking on the card's colour border and then selecting some of the options at the bottom. There's horizontal, vertical, radial, and overlay (but this one only works for two coloured cards), and you can reverse all of those. You can't pick the order in which the colours appear though. What font exactly do you use for the text and the name of the m15 mainframe and altered letters, I was installed all but my letters still have the basic font, could you give me the name so I can download it separately, or pass me a file with all the sources you use, thank you. And will add Devoid style into DFC? thanks. Fonts are a separate download and can be found here, as well as how to install them. Also, my m15 Doublefaced Append supports devoid, so you could use that in the meanwhile, until cajun finds time to implement it. Holy mother of pearl, you've done a lot of work in the two months since I dropped off the face of the planet! I congratulate your efforts! Look really surprised me with their jobs boys, I was going to upload to the Templates Forum of the legendary Dominaria. But revising the page I discovered this topic and so weeeeeeeeeeeeell. Until then my collaborations arrived XD. But I'm a graphic designer, if you need help with something, let me know. Miren de verdad me sorprenden con sus trabajos muchachos, yo iba a subirles al foro Templates de los legendarios de Dominaria. Pero revisando la pagina descubrí este tema y pues bueeeeeeeeeeno. Hasta ahi llego mi colaboracion xD. Pero soy diseñador grafico, si necesitan ayudita con algo me avisan. Which of his templates use the PNG as the set symbol (I'm interested in looking at the coding for this). Are there any plans to add more frame types to the mainframe DFC template? For example, the 'fullart' frame from mainframe M15? there is an error in the apellbook template, I do not see the corresponding symbols of the casting cost of the spell. 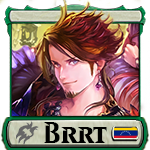 brrt the Spellbook mana font was unintentionally left out of the big download for a few days. It is still in the Spellbooks standalone download or you can get it by itself here. Today we stamp out one of the most notorious bugs to plague MSE, the Infinitaps! Those who have seen the perpetually multiplying s know the havoc they unleash upon a set file. But no more, I've finally figured out the weirdness in the code causing this and corrected it. You can get the standalone patch here (download to MSE/data/magic.mse-game), as part of the Mainframe game files, as well as the fixes to M15 Extra and M15 Extra Udelude's code if you are using those. Is it possible with the Mainframe Planechase templates to be able to remove the card numbering? I post random cards, never completed sets, so I have to manually remove the numbers with MS Paint, otherwise I just have random numbers on the bottom of the card that detract from the look of it. If that option is not available currently, it would help a lot as a possible update! Thanks for looking, and all your hard work. HonchkrowDavid found that the last patch ended up breaking something else and while I was fixing that I set up the fullart templates as requested by 4d20 . There is now a "Fullart gameday promo" checkbox under the promo one that will apply the promo to normal-shaped faces (ie Vehicles and Legendary will play nice, Maps and Planeswalkers won't.) My version of the typeline lists now have Token and Emblem (the latter with 'walker subtypes), which is included above or any of the other usual links. As requested by Ralphio the two Magic versions of Mainframe planes have had some of their legacy code updated so they can be removed from autocount by the style option or the set option. The fancy-dancy Lackey Exporter has been updated to handle Mainframe DFC and Sagas, as well as offer better support for X/X tokens, and now it even converts the curly apostrophes and long hyphens that make Lackey upset! Unfortunately I was not able to get the new Legendary token wording to filter properly, so you'll still want to edit the scripts that create them. The goal is to have updates to the Planesculptors and Cockatrice exporters in the coming days as well. impspiritguide Any of the non-Plane templates under the Mainframe header use the .png rarity. There is a textbox in the set tab where you can write a link (say, SET.png), and the rarity box will replace the rarity images with SETc.png, SETu.png, etc. You can check the spoiler on M15 Mainframe for more details. Just look around the style tab. I am pretty sure there is an option to remove from autocount. Thanks so much for adding that to the template! Is anyone else still having issues with the 'Autocount card numbers' options in the 'Set info' tab for the Mainframe Planechase template? I've downloaded the template several times over, but even when selecting No from the drop down menu, numbers still appear at the bottom of the cards. Same issue with the mini planes. Any idea what I might be doing wrong?